You are here: Home / Sports / Green Bay Packers / Packers fall short in Pittsburgh, can they still make the playoffs? Packers fall short in Pittsburgh, can they still make the playoffs? For the first time in weeks, the Green Bay Packers looked like a team capable of sustaining a late season push towards a possible playoff spot. Their effort fell just short at Pittsburgh on Sunday night, as a last second 53-yard field goal turned into a 31-28 Packers defeat. The loss didn’t eliminate the Packers (5-6) from the playoff hunt, but their position isn’t one that teams are clamoring to be in either. The NFC North division race, although mathematically still possible, but those odds are slim. They trail the Minnesota Vikings (9-2) by four games with five left to play. In the wildcard race, the Packers odds are a little better, but still not anything to write home about at this time. The Packers two games behind a pair of teams for the sixth and final playoff spot. It likely puts them in a position where they will need to win all five remaining games and then still get some help along the way. Brett Hundley, in his best performance yet, completed 17 of 26 for 245 yards and three touchdowns. Even more important is Hundley didn’t turn the ball over. And it wasn’t because he was too conservative. Hundley’s touchdown passes went for 39, 54 and 55 yards and when the Packers needed him to make plays, he did. He engineered a 12-play, 77-yard scoring drive that tied the game 28-28. The Packers actually led 21-14 in the third quarter when Mike McCarthy sent Mason Crosby out to attempt a 57-yard field goal instead of punting. It turned out to be one of the turning points in the game. Crosby’s attempt was short and wide and the Steelers took the ball at midfield and tied the game at 21. Another turning point came with the game tied 28-28. The Packers had the football with 1:20 left. The Packers ended up going three and out and punting the ball back with :17 left and the Steelers quickly made two plays to get within Chris Boswell’s range and the Steelers won it as the clock ticked to zero. But the first play from scrimmage for the Packers had Hundley dropping back to pass. He took a helmet to helmet shot from Pittsburgh linebacker T.J. Watt. Clearly the play should have drawn a penalty flag, especially the way the league not only is trying to bring attention to head contact. The quarterbacks get protected more than any position on the field and this wasn’t a borderline call. This should have been automatic, but referee Ed Hochuli and the rest of his crew didn’t see it, didn’t call it or both. 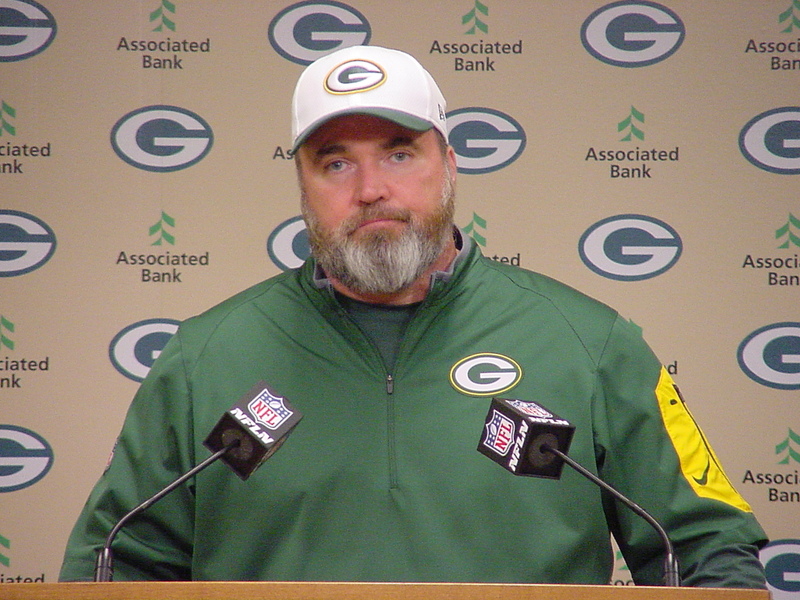 Packers coach Mike McCarthy admitted that play affect the rest of that series because he was concerned about the shot his quarterback just took. He was trying to make sure Hundley was alright and was subsequently late getting the second down play into the huddle. It went downhill from there. Hundley finished with a passer rating of 134.3. 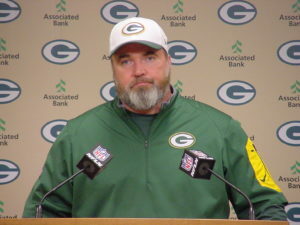 He showed fans that were calling for Joe Callahan to take over that maybe there is some light at the end of the tunnel. The rest of the team’s performance was also encouraging. Despite the Packers current predicament, the players are playing hard and that’s a credit to them, as well as the teams coaching staff. The Packers have two very winnable games ahead when they host Tampa Bay this Sunday and then travel to Cleveland in two weeks. If Aaron Rodgers is healthy enough to return, he could do so after the Cleveland game, when the Packers travel to Carolina. Rodgers went through a throwing session before the game in Pittsburgh and it appeared to be an encouraging sign. Nobody knows for sure if Rodgers right collarbone will be fully healed by then, but the Packers have to win the next two games first. Without that, Rodgers returning to rescue the Packers would appear to be a moot point.